Since the launch of the Treehouse Scholarship program last year, we’ve got to know the founders of non-profit organizations and been introduced to some incredibly inspiring scholarship recipients. We had the opportunity to speak to some of the veterans from Operation Code, a nonprofit organization that helps military veterans and their families launch new careers in software development. 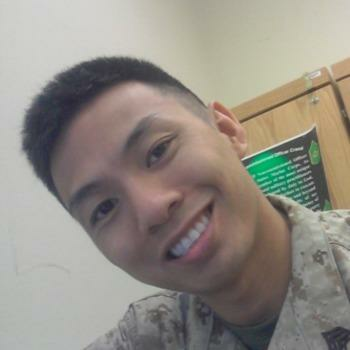 Meet 30-year-old Billy Le joined the Marine Corps immediately after high school and served for 9 years. Once Billy returned home, he was faced with the decision of what to do next with his life. After a few years in HVAC, he saw the programming the techs were doing and soon discovered front end web development. Over the last year, Bill has been learning to code and now works as a part-time freelance front end developer for a software company that creates web apps. Billy is now also teaching others by building a local community that teaches people how to code. Through our time with Billy, we heard about his personal experience, but also gained insight into how veterans’ collaborative nature and disciplined focus are particularly well suited to being entrepreneurial and why the world of coding and tech is a great fit for them. We asked Billy if he would share some of his experience with the community. Here’s his story. I was always curious about coding but I never fully dove into it until 2016 when I was still sorting out what I wanted to do with my life. At a very young age, I was exposed to the scripting language inside a computer game where I created maps for people to play on. It was fun and exciting and as I was a huge gamer at the time I thought I wanted to be a game developer. However, I joined the Marine Corps shortly after high school and never thought about that again. 9 years later I left the military and joined a company doing HVAC work, but didn’t like it at all. When I left, I started dabbling in CS50 which is a Harvard online course that was really well-made. I never finished it, but it started me down the path of taking other online courses to learn coding skills. That’s where I started to really find coding fun and exciting because I got to see what was happening in the browser. Other days I’m working on building a community here in my area that teaches people how to code. It’s been a very successful venture so far and I love that I get to meet new people of different backgrounds and help them achieve their goals. I hold 3 sessions a month that includes 2 coffee and coding sessions, and 1 presentation/workshop for the month. I find it really exciting to use my skills from the military and from various online learning platform to teach others. I’m working on building a community here in my area that teaches people how to code. It’s been a very successful venture so far and I love that I get to meet new people of different backgrounds and help them achieve their goals. This one is hard! I love them all but I really have to pick the CSS courses. I like to think I’m good with basic CSS and Sass but man Guil Hernandez did a really good job on the new Sass Basics course, which covers a lot. I find myself trying to figure out the best way to organize my Sass and Guil laid out a very detailed course. I always want to learn how to write better CSS because I think I might move towards CSS animations and working with SVG’s. Organizing my code has been the most important part of my study nowadays. What are your plans for the future and what goals are you working towards by learning to code? My future plans are to work as a front-end developer at a small-to-medium size company and learn as much as I can. I eventually want to save enough money and split from the company to work on my own ideas. At my current contract job, there are only senior back end developers and I’m the only front end developer, which makes my job harder because I can’t reach out for help and get proper coding reviews to let me know how I’m doing. To make up for that lack of knowledge, I’ve been studying like crazy to learn their backend languages and also picking up React. Eventually, I’ll have a good solid understanding of that, but Rails is not something I want to pursue. I’ve also been listening to a lot of JAMStack Radio and I want to learn how to build a static site generator, use a headless CMS, and learn function as a service. I wish I knew how fun it was and how awesome it is to write a piece of code and see it visually on the screen.